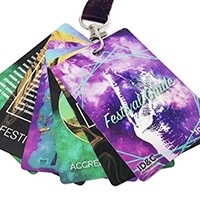 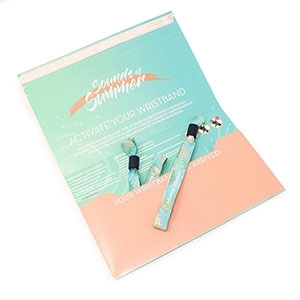 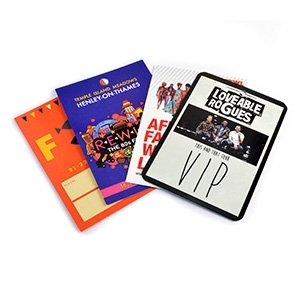 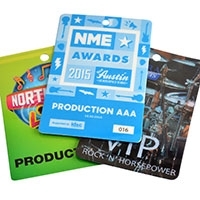 Highly popular among music festivals and other events across the world, fabric wristbands offer a highly secure solution for admission control, with our range of locks and virtually impossible to counterfeit design practices. 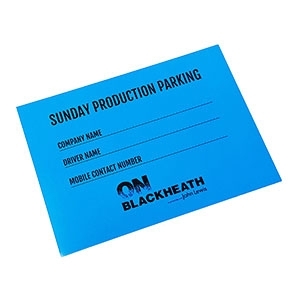 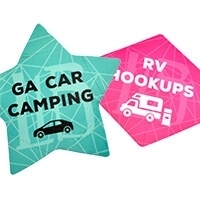 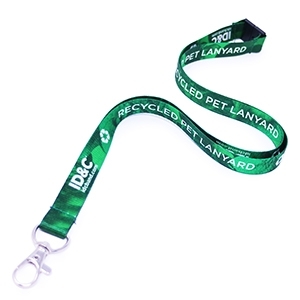 Choose from printed satin finish or woven fabric, with UV and metallic thread options available. 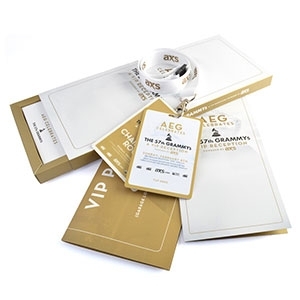 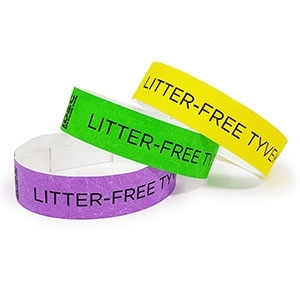 Our fabric wristbands are available in woven or satin cloth materials and when customised, are highly secure. 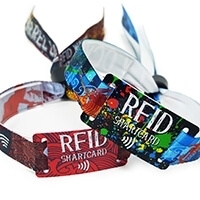 Woven wristbands are most commonly used at music festivals, but have become a popular wristband choice for any kind of event. 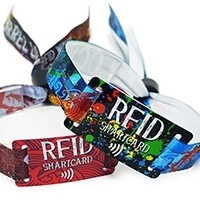 Our fabric wrist bands are non-transferable and virtually impossible to counterfeit when used with one of our 5 locking clasps. 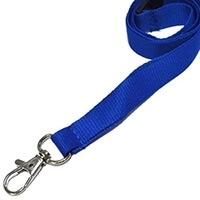 However, we also offer reusable options for when security is not an issue. 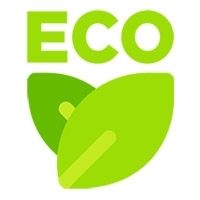 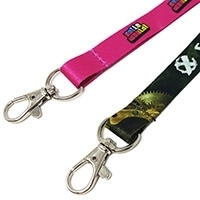 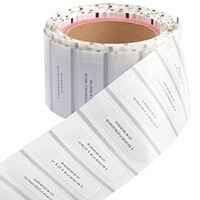 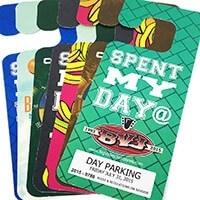 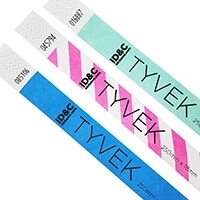 The two main finishes of fabric wristbands are woven or printed polyester. 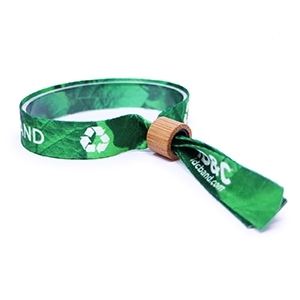 Our woven wristbands are made up of up to 8 coloured threads and are the kind of wristbands commonly associated with festivals. 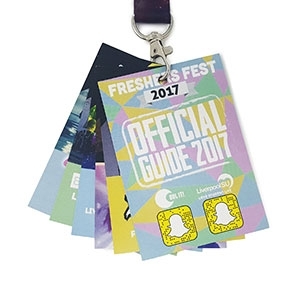 Our printed wristbands use a dye-sublimation method and allow any full colour design to be transferred on to the band for a vivid effect. 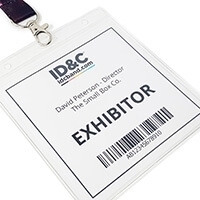 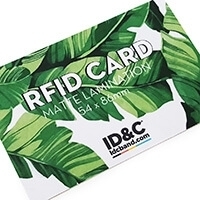 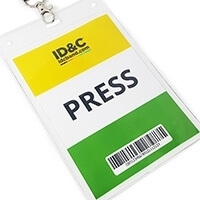 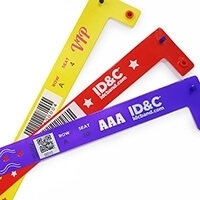 ID&C has a large range of fabric wristband security features and is the only UK wristband supplier to have two patented locking systems; the Barrel Lock and the Smartlock. 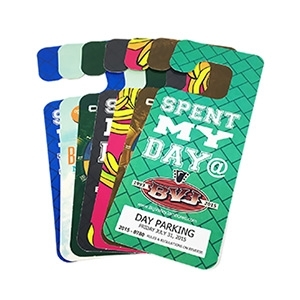 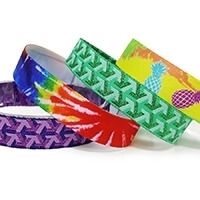 Using our online designer, you can even make your own custom fabric wristbands online. 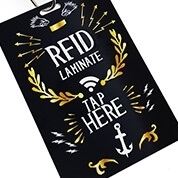 Simply choose a finsh, lock and then upload your design, add text and check out. 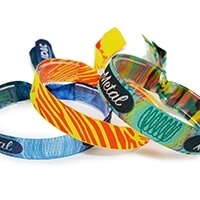 Our Fabric Wristbands received an average of 9.4 out of 10 based on 740 reviews.